This is one of the decorations I made for the baby shower. 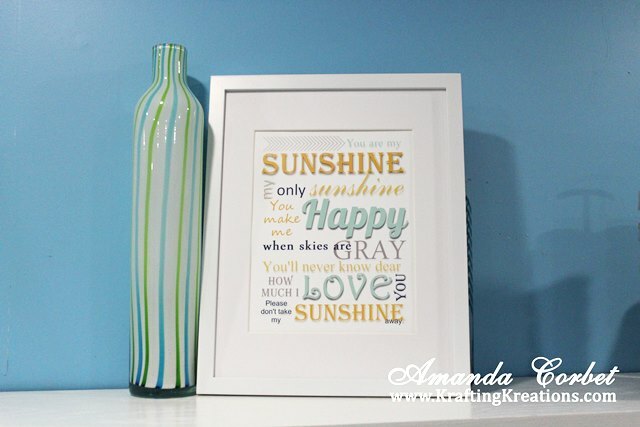 It was a fun printable with words from You Are My Sunshine. I just adore how this came out! 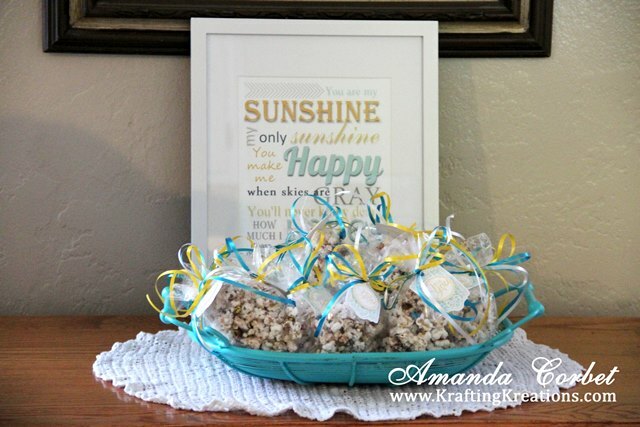 It's so fun with the blues, yellows, and gray with all those fun fonts and a little chevron pattern going on. I popped it into a 11" x 14" frame with an 8" x 10" mat and it was done! I took the glass out for these photos, but it has the glass back in it now. I didn't want to blind you with glare coming off the glass. I think I might have to find a spot in my craft room to hang this permanently. 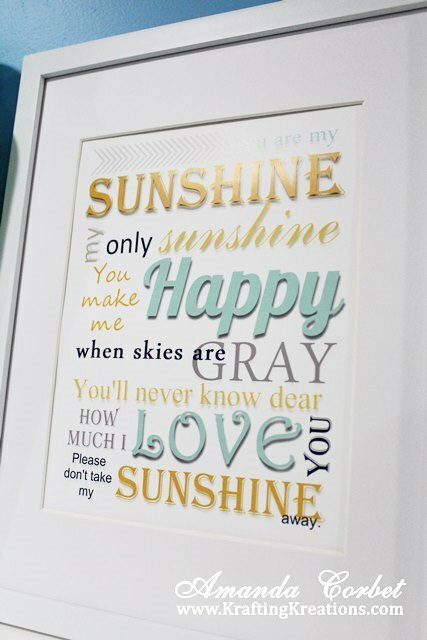 It would look oh so adorable in a nursery too! And here it is on the table with the favors at the baby shower. For all the other deets on the baby shower just click HERE. You will find lots of links to recipes and games. 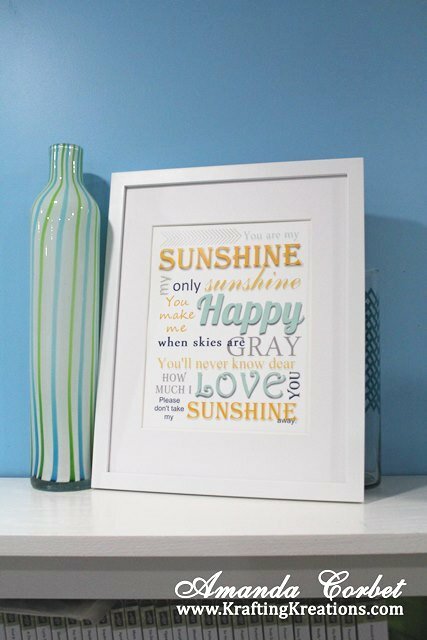 If you want to get one of these fun printables to bring some sunshine into your home or for a fabulous party decor then just click here to head on over to my shop to get the download.